James Bondy has been entertaining international audiences for over 15 years. . His extensive theatre career include portraying the title role in Joseph & The Amazing Technicolor Dreamcoat, the demanding role of Judas in the hit Musical Jesus Christ Superstar, as well as Mark Cohen in the ever popular Rent. With the desire to travel and experience other cultures, James found himself singing and dancing on several cruise lines entertaining audiences all over Europe and the Caribbean Islands. But one of his most rewarding life experiences was having the chance to open Walt Disney World’s Animal Kingdom theme park in Orlando Florida in 1998. James played the role of Mowgli in Disney’s live theatrical production of The Jungle Book, where he totaled over 800 performances. After leaving Disney, Bondy returned to Windsor, where he would be seen performing in sold-out revues at the casinos in Windsor and across the river in Detroit, Michigan. James then gained experience in film, working in many feature films in Toronto, until he returned to performing aboard cruise ships in 2003 on the Norwegian Cruise Lines. During this stint aboard a cruise line, James was approached by the creator of a new children's show. He had seen James perform and was convinced that he found the human co-host he was looking for. 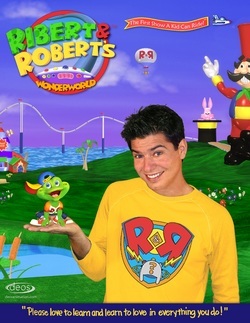 He began filming episodes of the live-action/animated series Ribert and Robert's Wonderworld. The series was picked up by American Public Television in 2005 and continues to be seen daily on over a hundred public television stations across North America and beyond, including New York city where James currently calls home. His first acting experience came in the ninth grade at CCH, where he starred in the schools frst ever Musical, One Upon A Mattress, directed by Mr. Ron Stephens. It was those high school years where he really learned his craft to become the working entertainer he is today. James credits his Mentor, former CCH teacher Brian Raisbeck, for giving him so much experience and opportunity at such an early time in his development as an actor and entertainer.